Daycare Insurance for Your Business: Get Your Quote Instantly! Why did you take on the challenge of running your own daycare? Maybe you love the innocence of children. Perhaps you saw a need in your community and decided to fill it. You might be the type of person who is passionate about early childhood education and helping little ones fulfill their potential. Whatever the reason that you went into the daycare business in the first place, you believed in yourself and your talents enough to start your own business. At Next Insurance, we’re here to give you the solid daycare business insurance you need so you can focus on the children in your care and helping your business thrive on your terms. 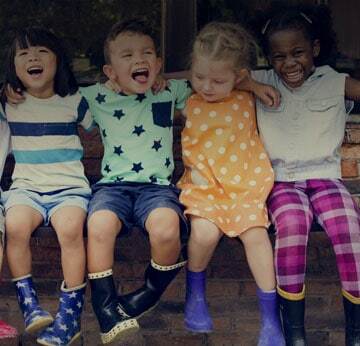 We offer daycare insurance that’s tailored to your needs, while being simple and affordable. Our insurance for daycare providers is available 100% online. And it’s quick and easy to get your quote and then buy on your schedule, 24/7. We offer daycare liability insurance that’s designed to suit daycares of all sizes and budgets, and there are no extra fees or hidden costs. Whether you’re looking for family day care insurance, or coverage for a commercial center, or even home daycare insurance, we offer what you need. We know that running a daycare is demanding work. You don’t have time to waste. That’s why we’re in your corner every step of the way. With your insurance taken care of, you can spend your energy on providing the best childcare around. Why Do I Need Insurance for Daycares? Insurance for anyone working with children all day is a must. No matter how well set-up your center or home is or how serious you are about safety, accidents can happen. That’s especially true when there are small children around. Even if you’ve taken every reasonable precaution, kids will be kids and mistakes are possible. In addition, parents coming to check you out will want to know you are a serious professional with either commercial daycare insurance or home daycare liability insurance. When you have a policy from us, you can quickly and instantly share your certificate of insurance with any parent who asks. Did we mention that sharing is free? Certificates are available online 24/7. So you’ll always have them when you need them. With the details of your daycare liability insurance taken care of, you can go ahead and work on expanding your business, finishing that art project, or whatever challenge arrives tomorrow. Why Is Next Insurance Right for My Daycare Business Insurance? We know there are lots of details to take care of when you’re running your own childcare business. That’s why we’ve designed our daycare insurance to take the burden off your shoulders, quickly and affordably. Getting your daycare insurance quote, buying and owning liability insurance for your daycare has never been easier. Prices start at just $33 per month, and you can do the whole thing whenever you want, 24/7, online. Most customers can buy a policy in under 10 minutes. There are no hidden fees and $0 deductibles. Should we go on? If you’re not yet convinced, make sure to read the reviews on our site so you can see for yourself how daycare providers just like you have benefited from our insurance for childcare. We’ll be here with your daycare insurance whenever you’re ready, whether you need commercial daycare insurance, family daycare insurance, or home daycare liability insurance. Get your day care insurance quote, and the coverage you need to run your business with confidence. Difficult parents and crying children are no match for your skills, so don't let insurance be the thing that stops you. The right liability insurance for daycares enables you to get back to doing what you love. Everything I needed at a fair price! "What a simple process! Got everything I needed at a fair price! "Getting liabiity insurance for my in-home daycare was quick and easy, and affordable! Thank you to NEXT Insurance!" Easy process online in just like 3 minutes of my time! So far, so good with this company! I love that I can make monthly payments for my home daycare business. It is vital for me to have liability insurance and it is not always easy to get...Thank you for making this an easy process online in just like 3 minutes of my time!